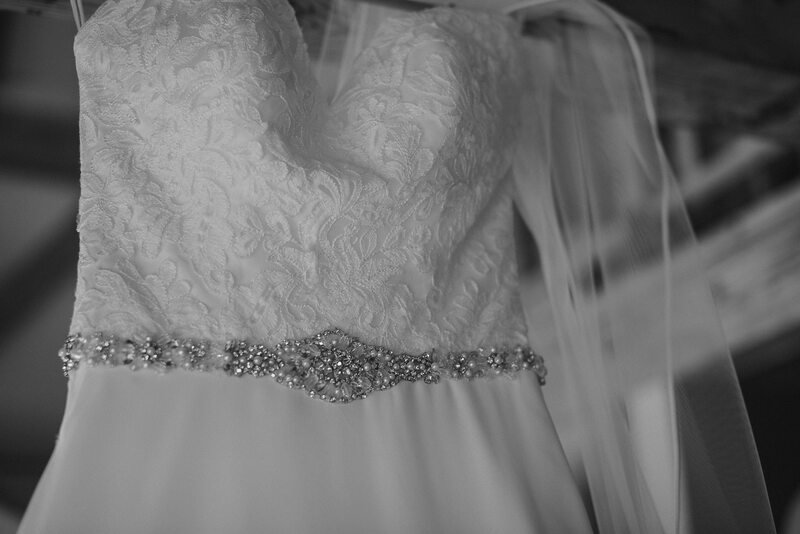 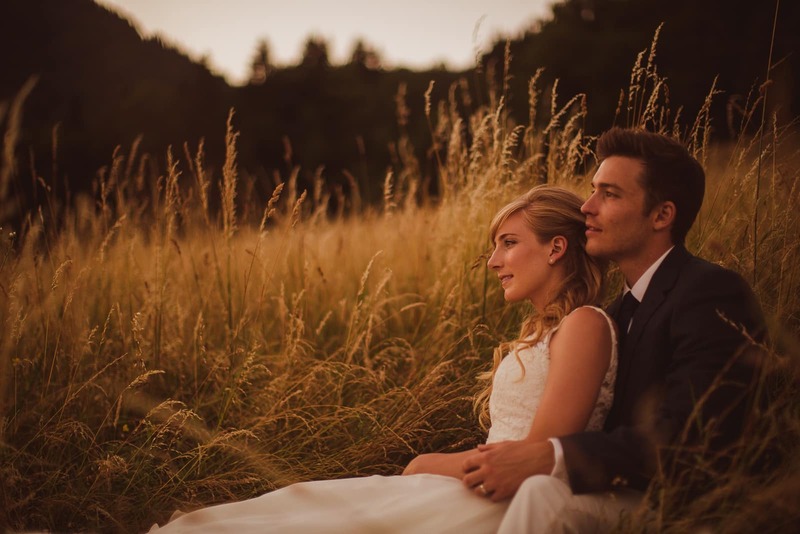 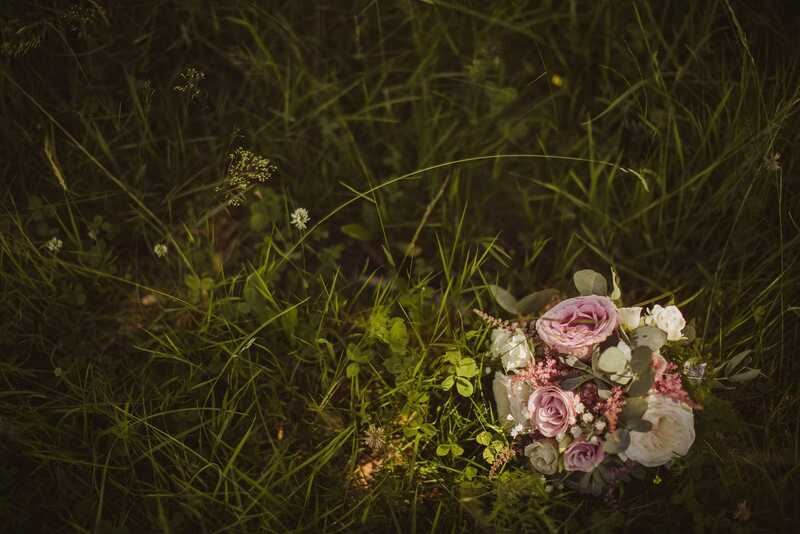 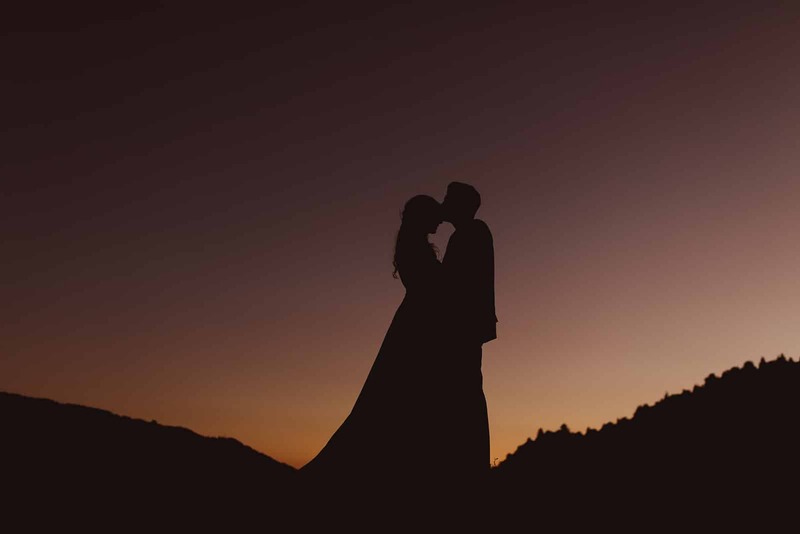 From the moment we first met Kate + Zac, we felt very lucky to be photographing their wedding. 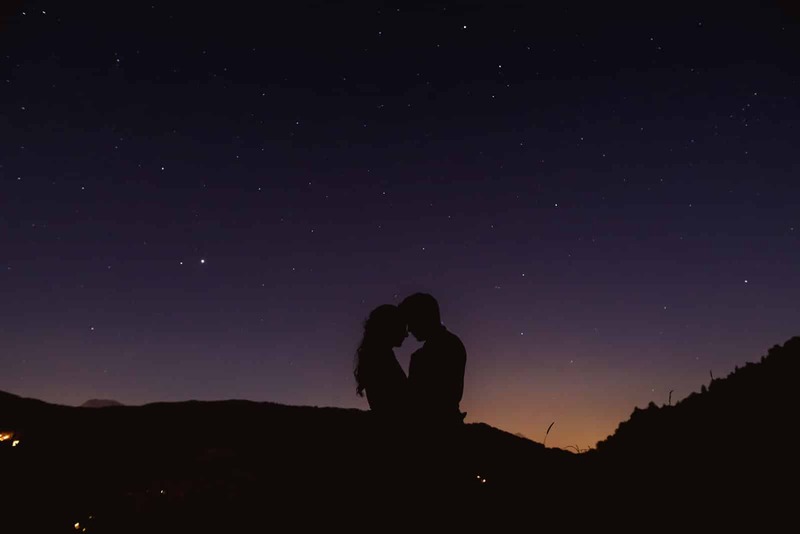 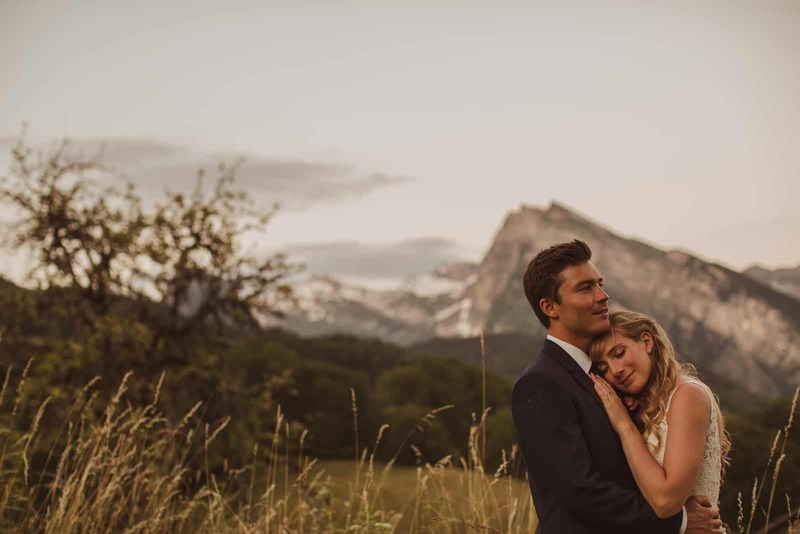 They’re one of those true ‘powerhouse couples’; they’re super cute together, and have enough entrepreneurial spirit and drive to actually take over the world. 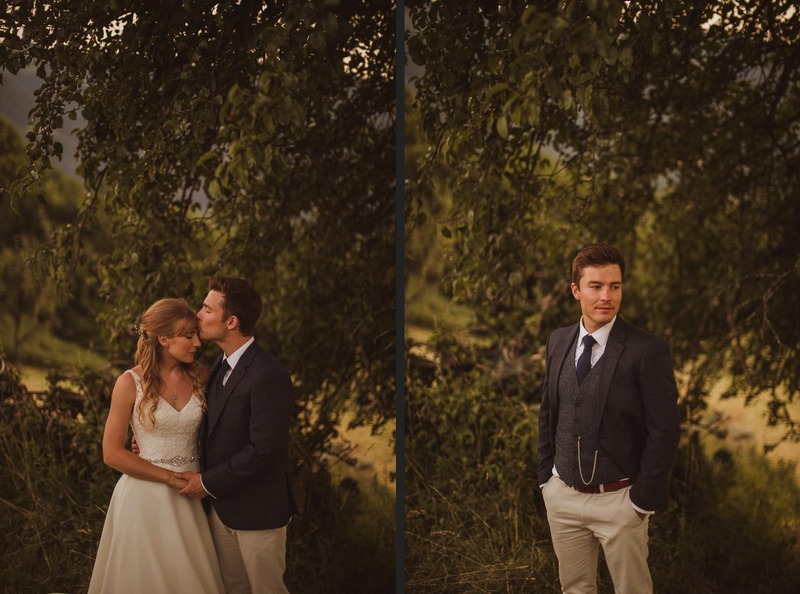 We’re a couple that likes to dream and scheme together, so meeting these two and their likeminded friends and family was wonderful for us. 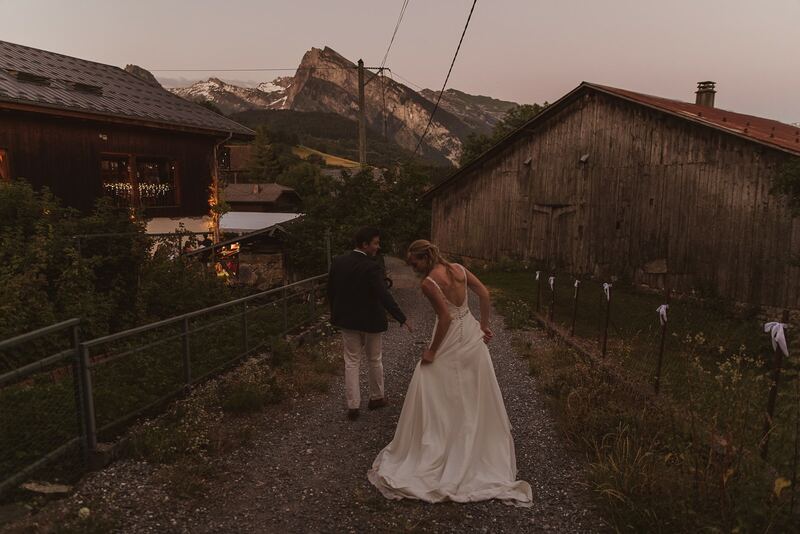 We’d never heard of Samoens before Kate + Zac took us there, and now we’ve been there we understand that this is largely because everyone who goes there finds it too wonderful to share. 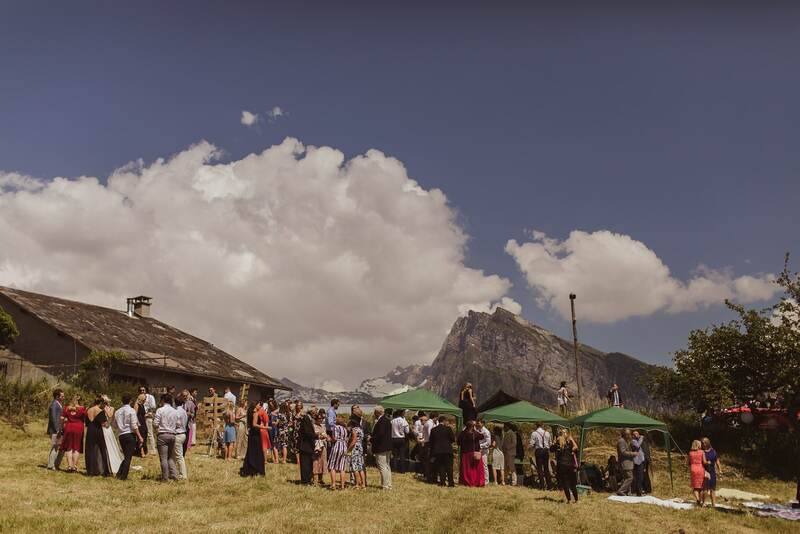 We have unwittingly, therefore, become part of some sort of Samoens ‘Fight Club’; the first rule is there is no Samoens! 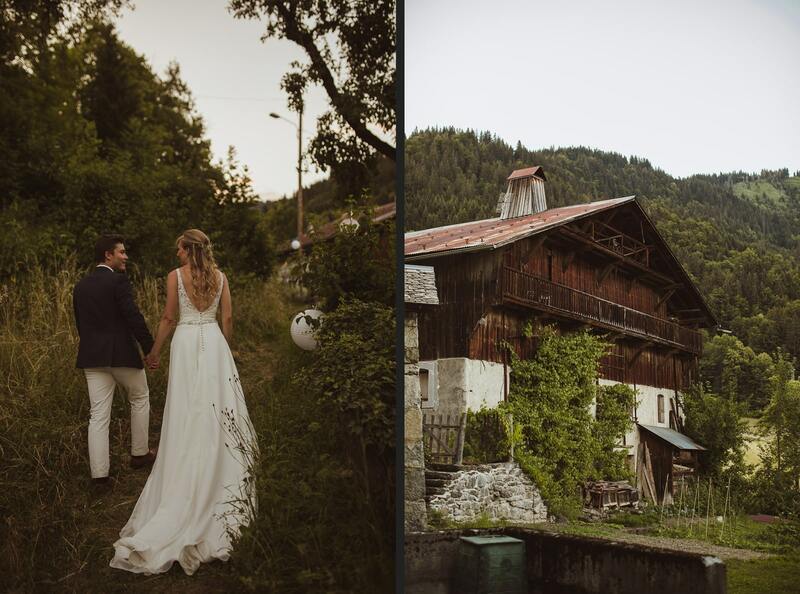 Really though, what a treat to be photographing in such a gorgeous place! 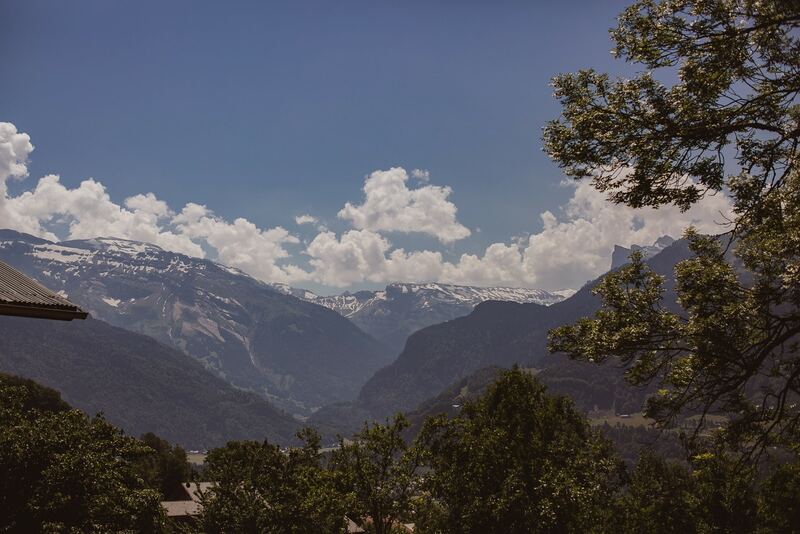 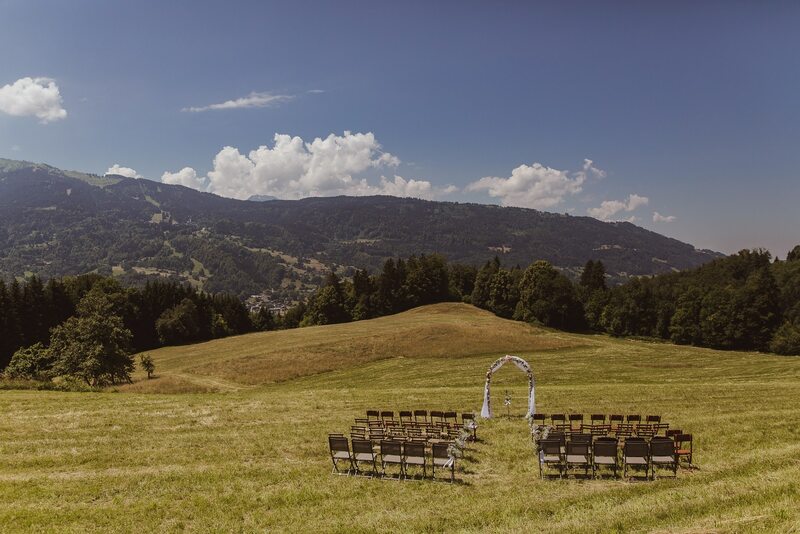 Green rolling hills and lush valleys meet stark, snow capped mountain peaks – somehow even the air tastes better. 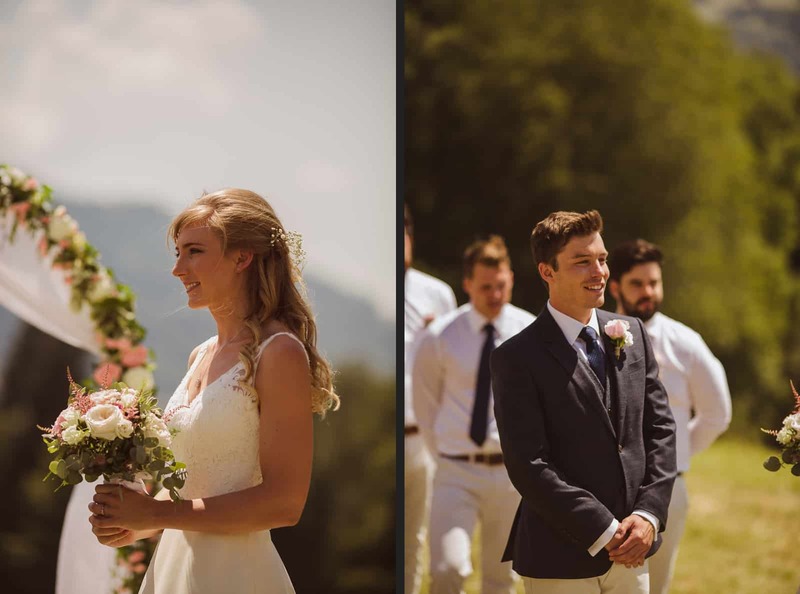 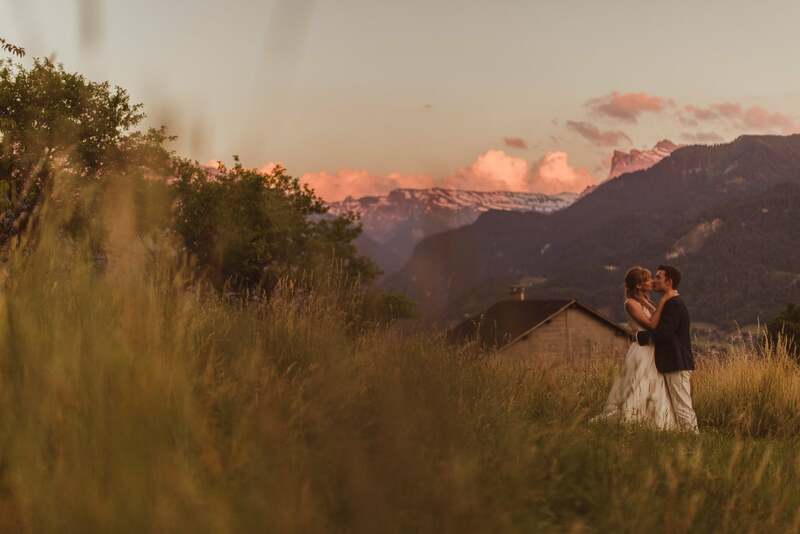 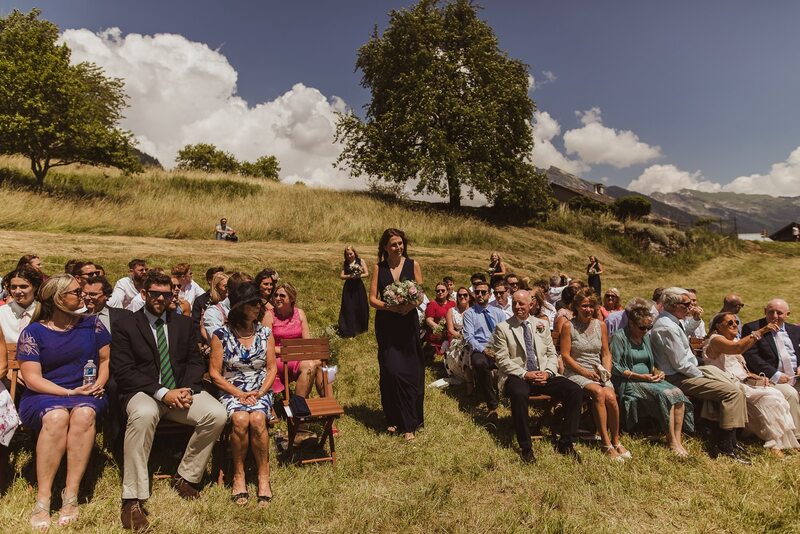 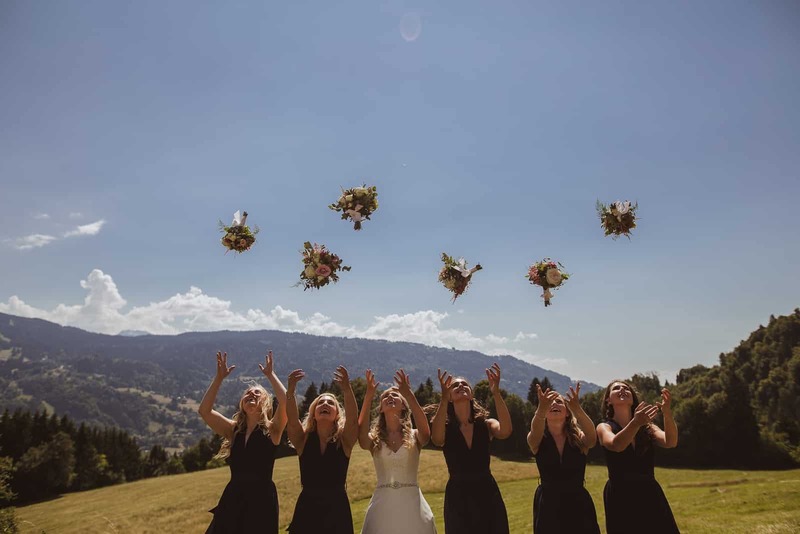 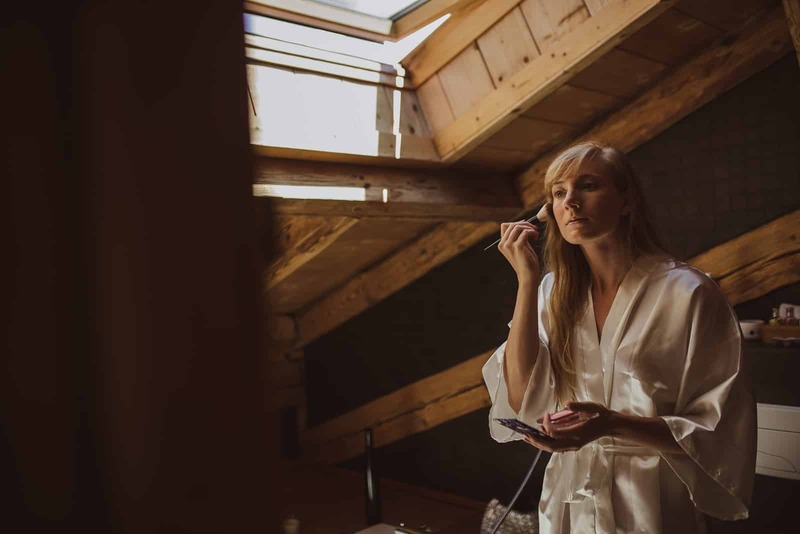 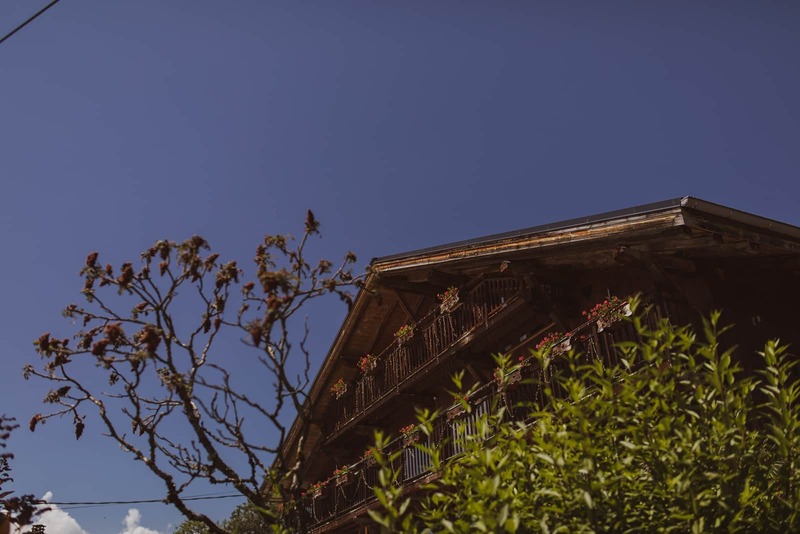 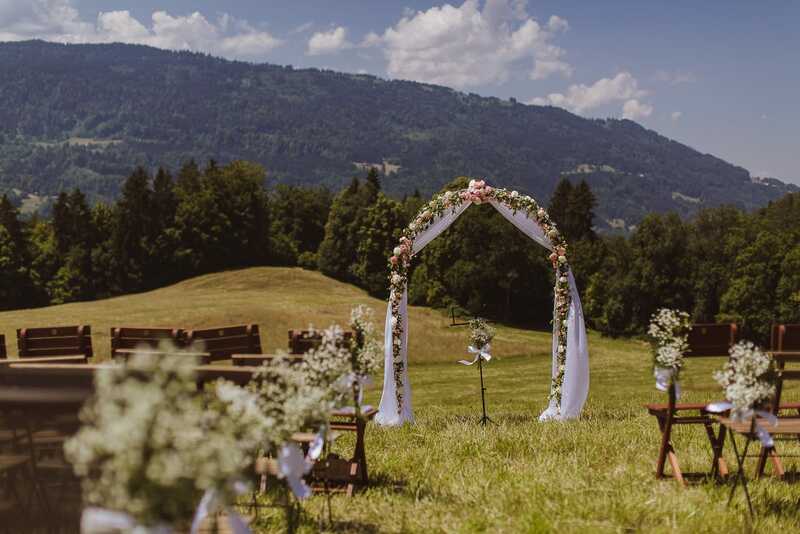 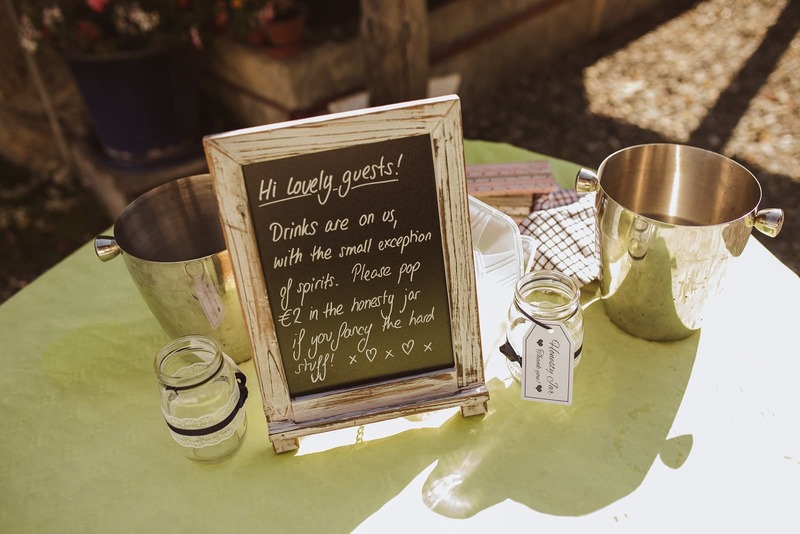 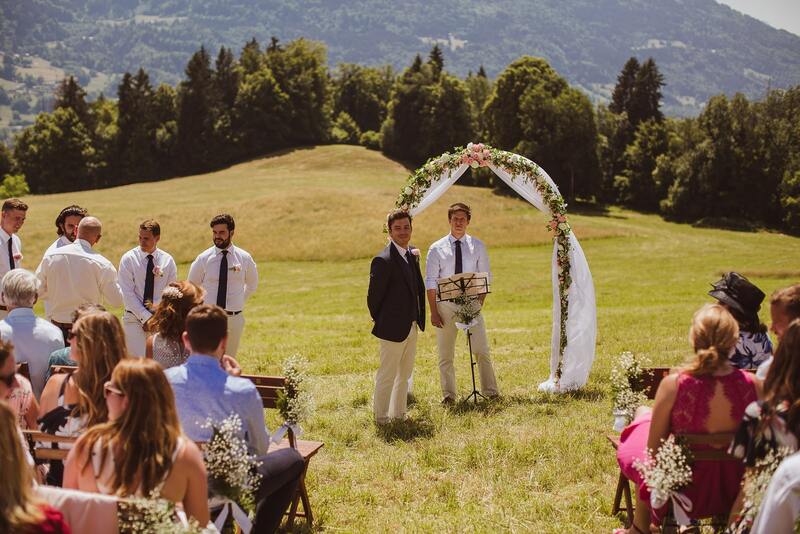 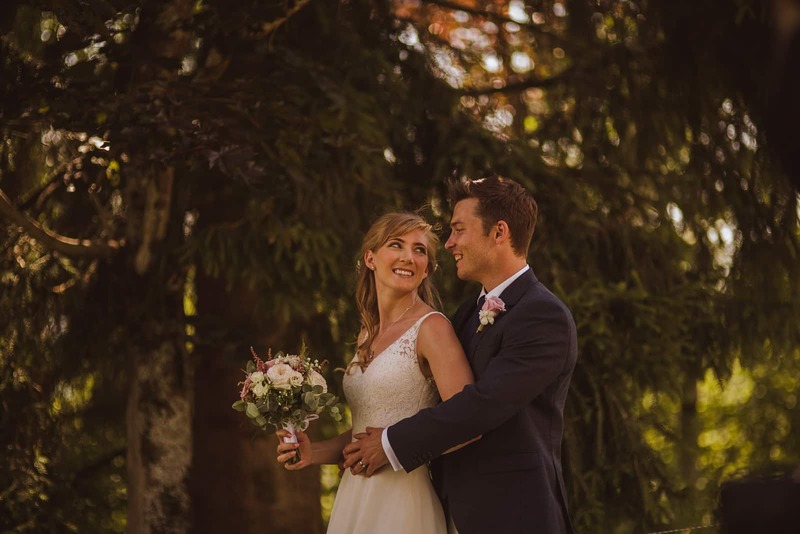 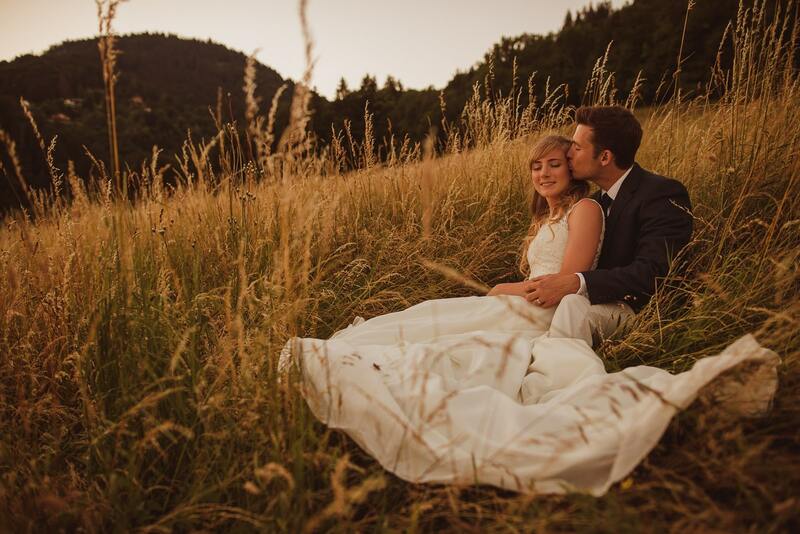 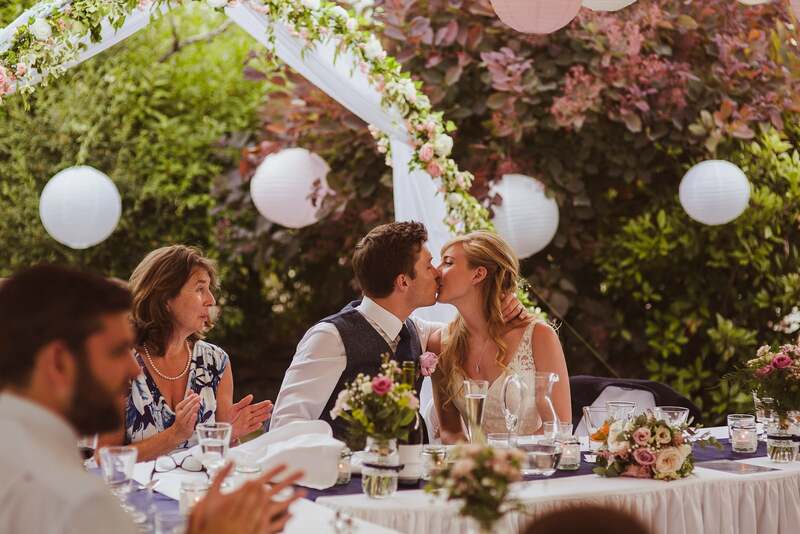 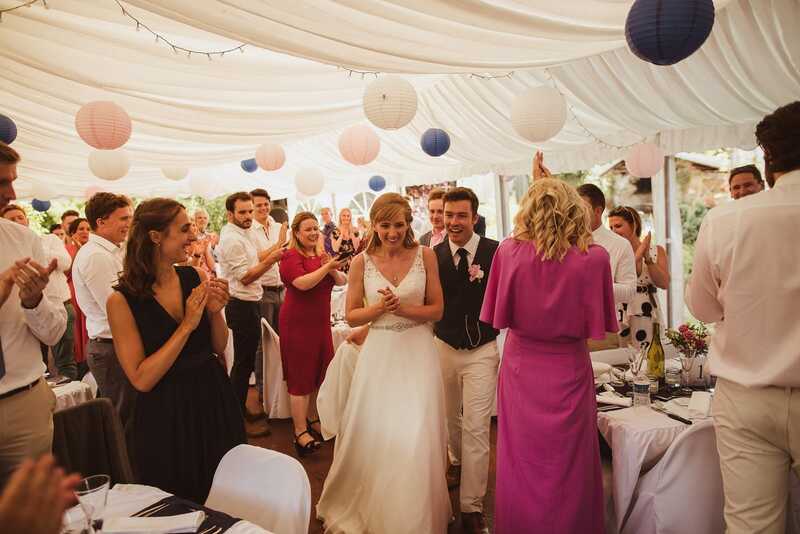 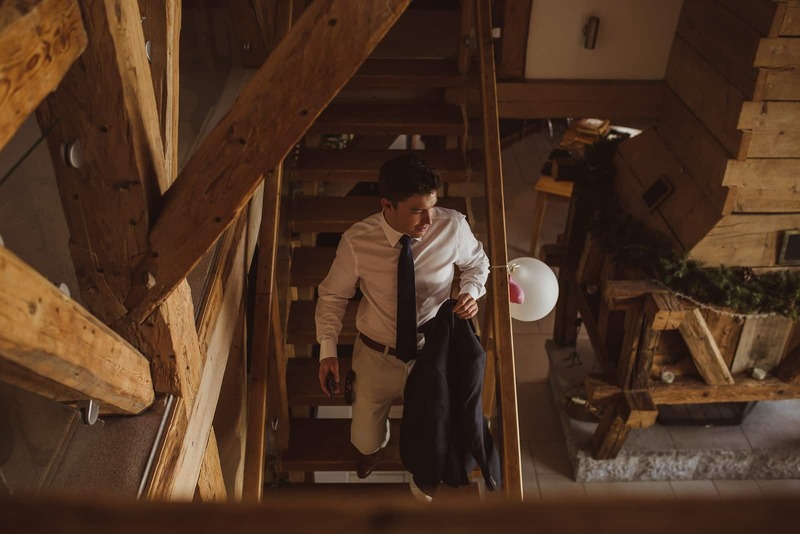 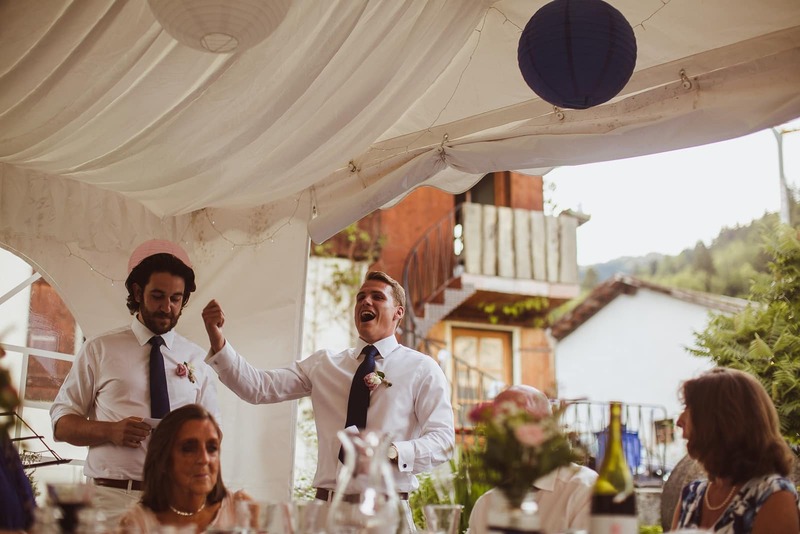 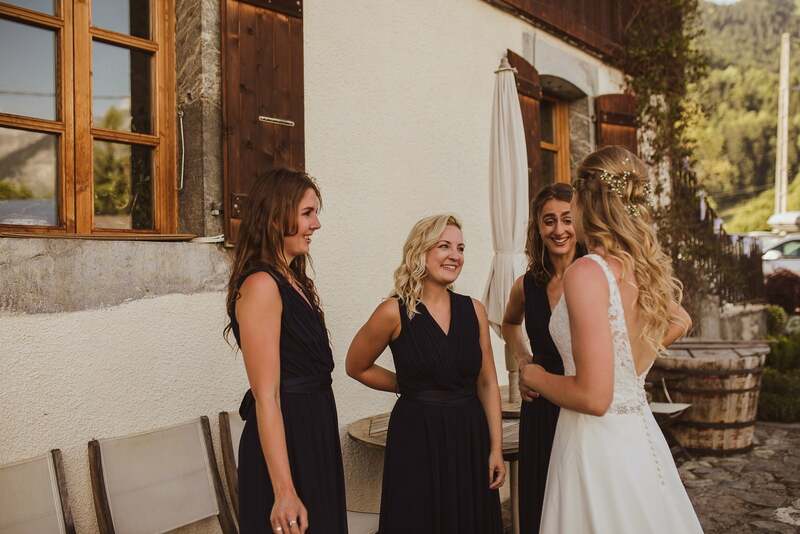 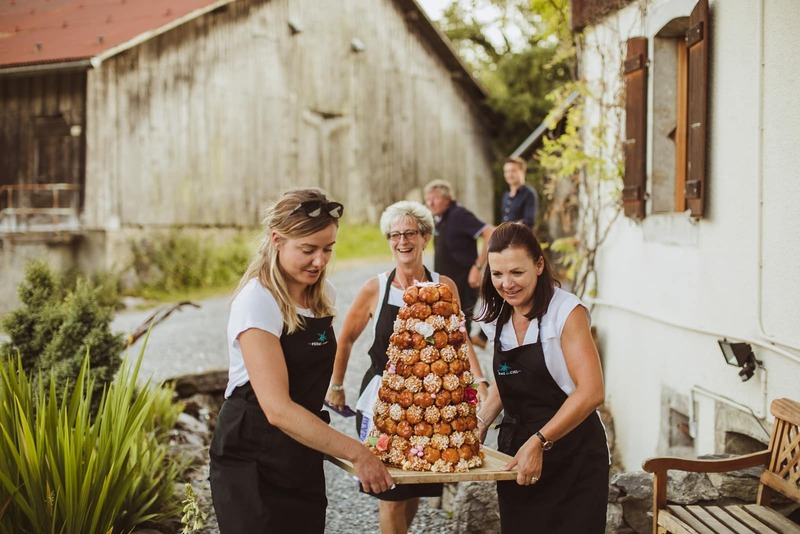 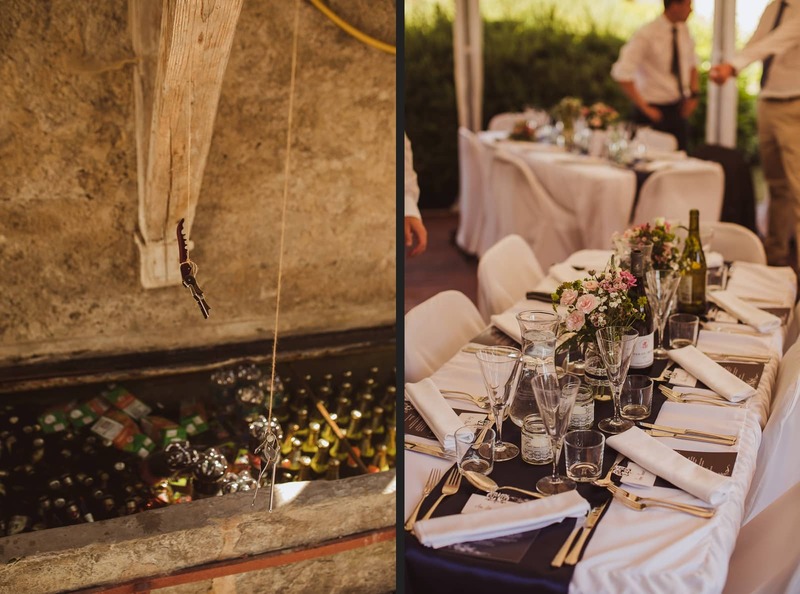 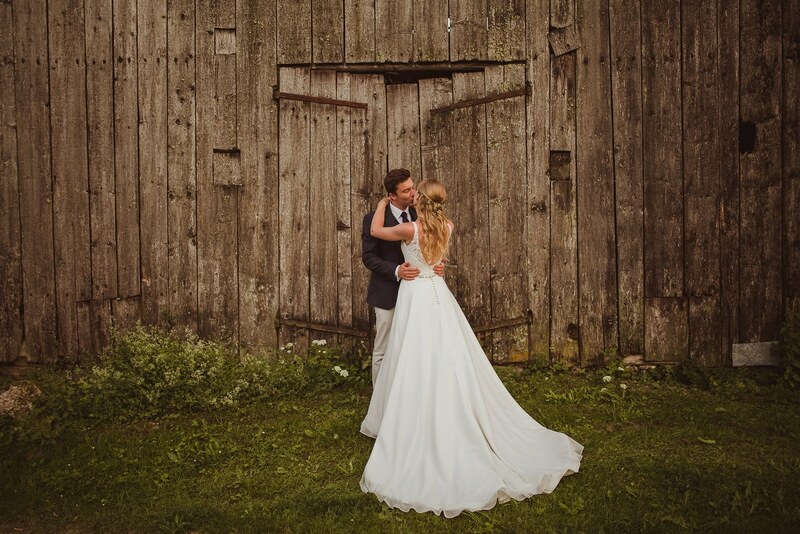 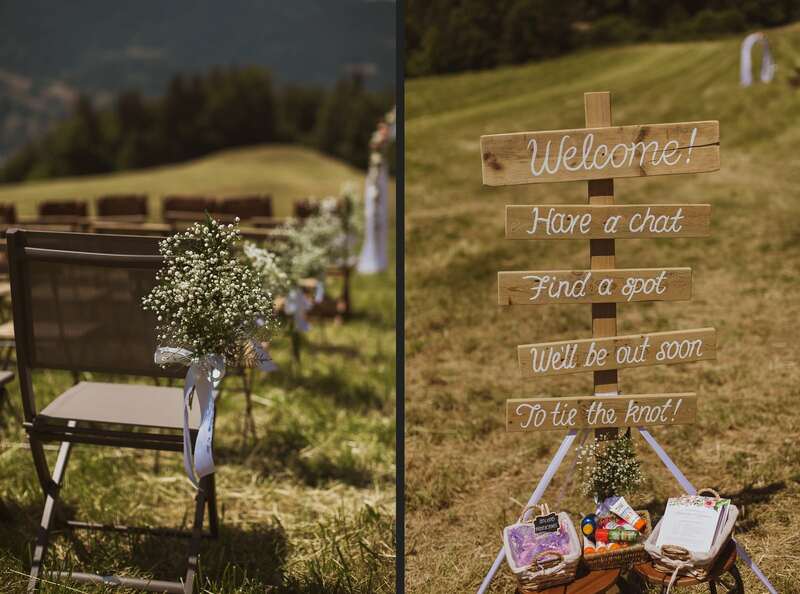 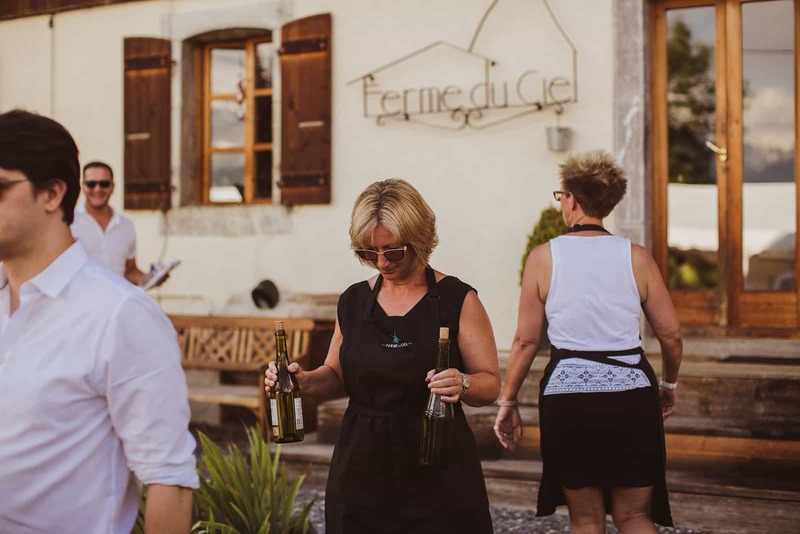 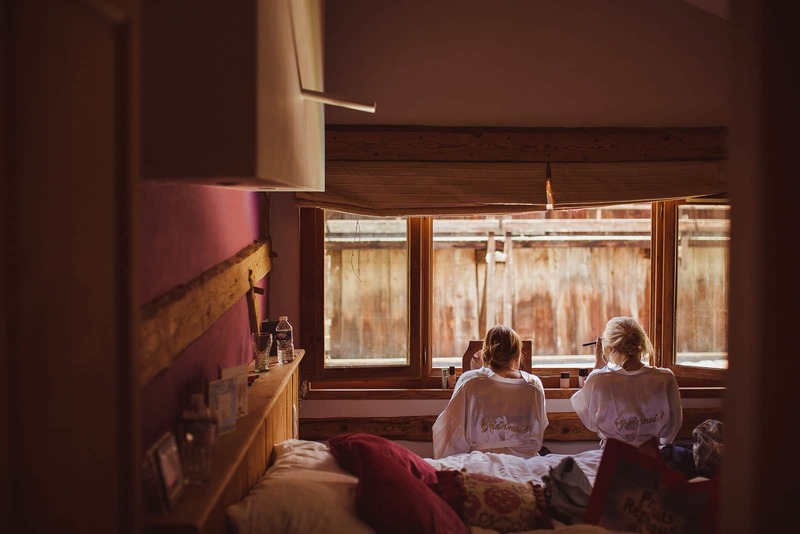 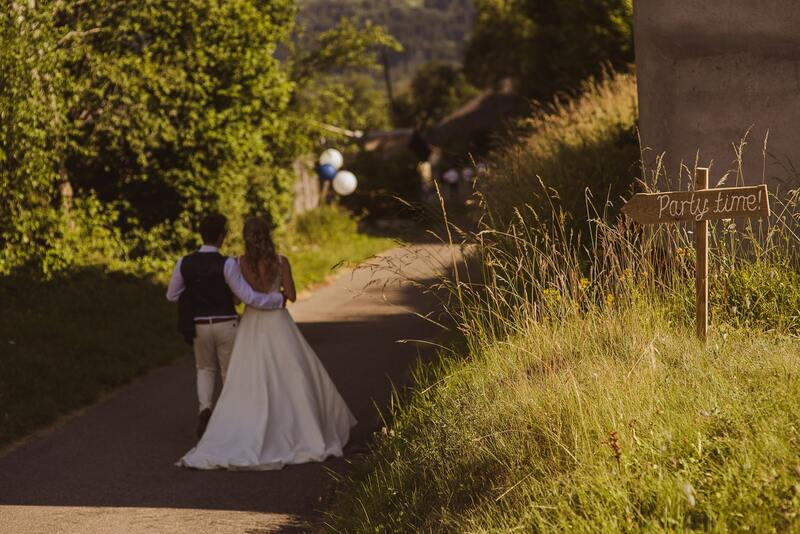 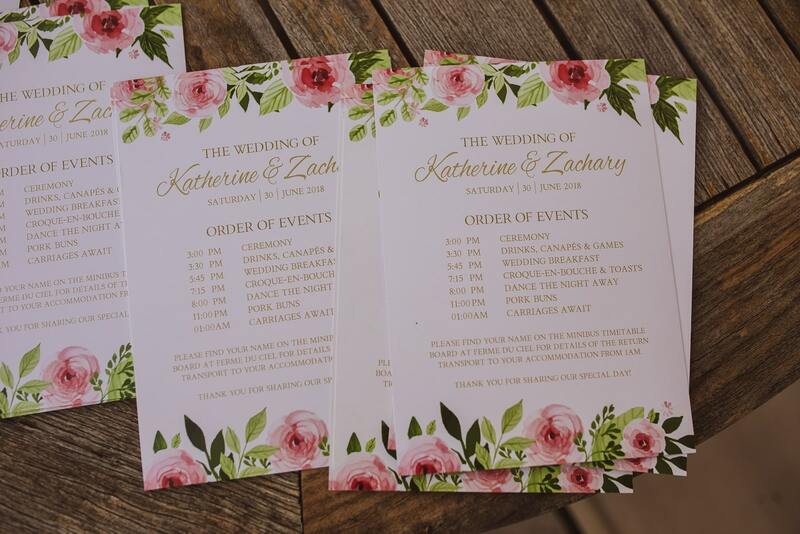 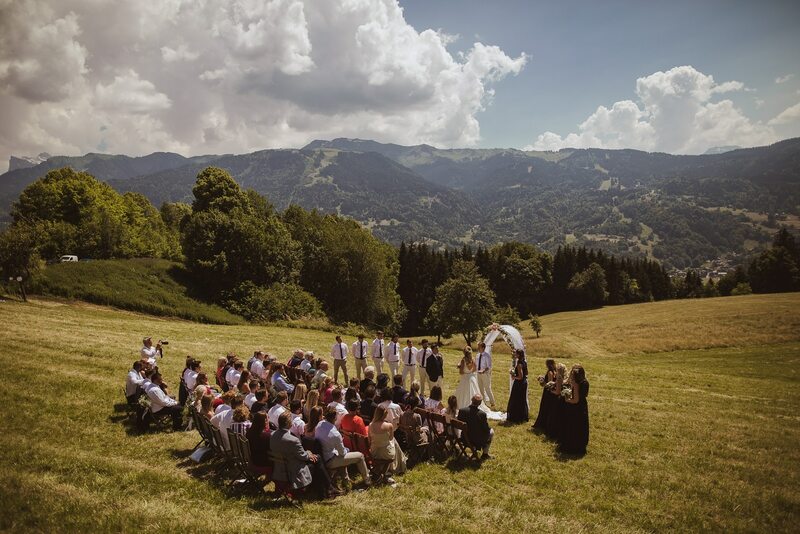 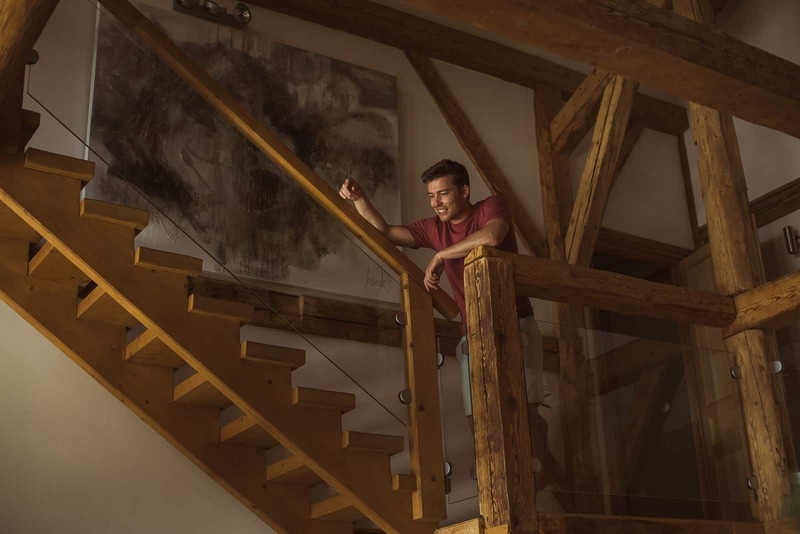 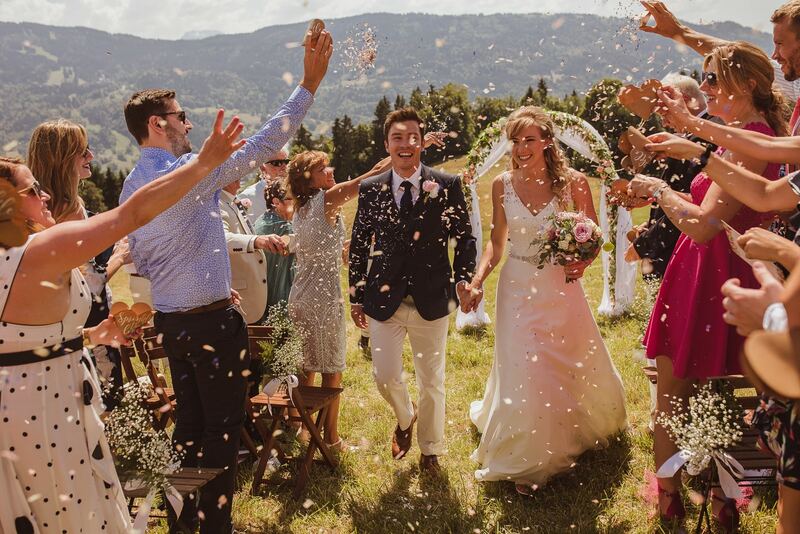 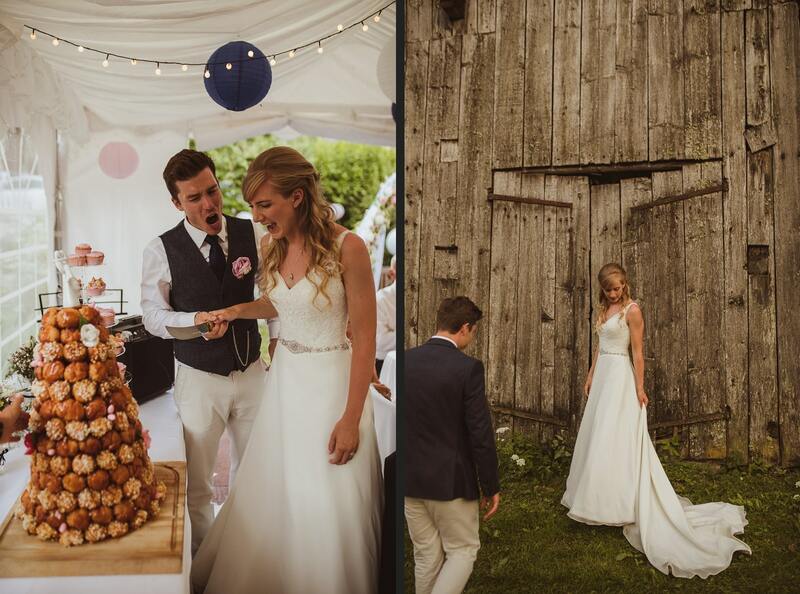 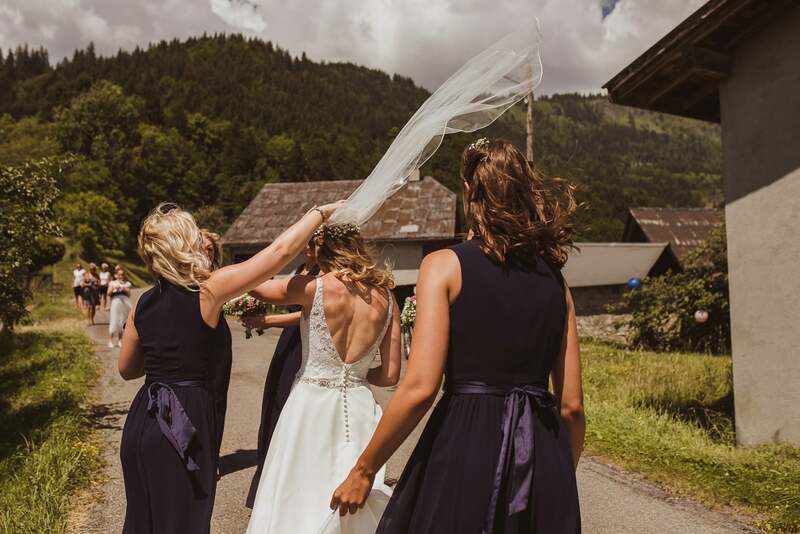 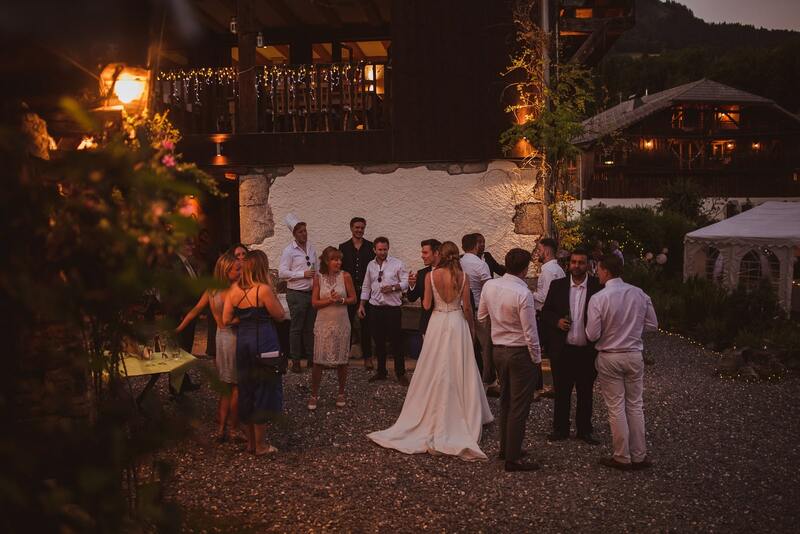 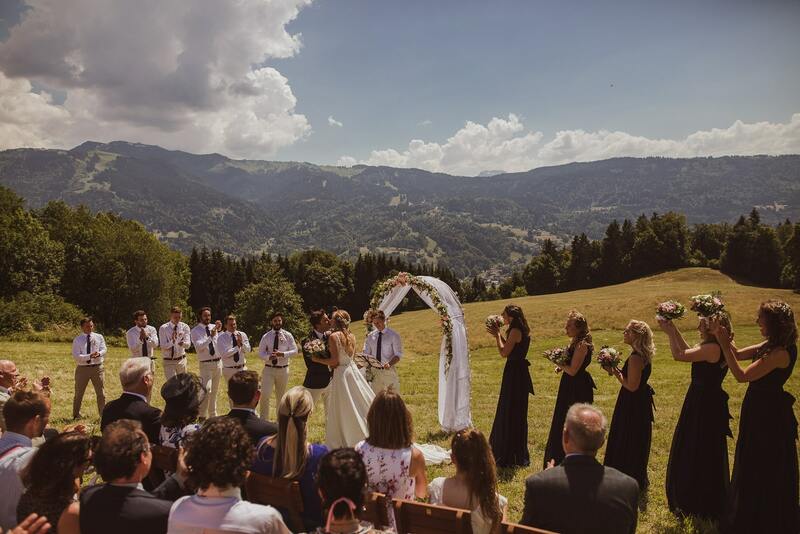 Kate + Zac chose the beautiful and historic Ferme Du Ciel for their intimate celebrations, which couldn’t have been more fitting as the venue is family run. 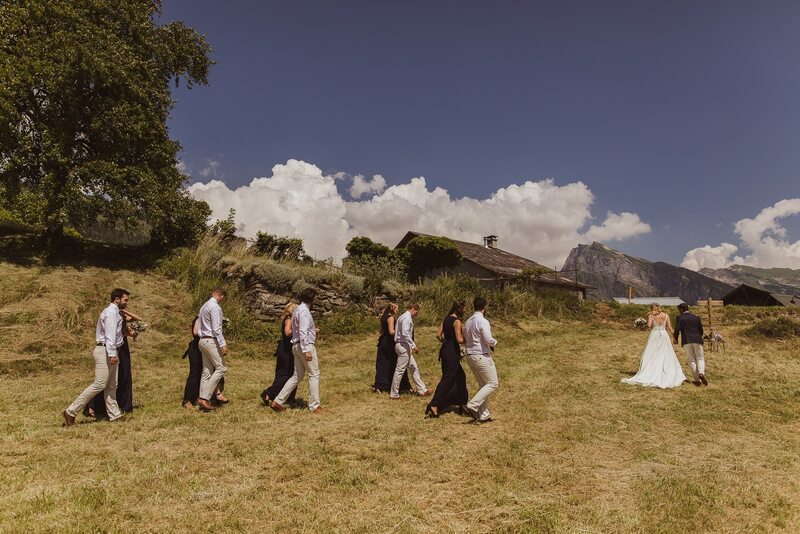 The day itself was a scorcher – the guests waiting on the hillside for Kate’s arrival were hurriedly applying the sunscreen the Couple had thoughtfully provided, and were grateful for the coolers of wine and beer once Kate + Zac had said ‘I do.’ After a hot, lazy couple of hours playing garden games and working on their tans, the guests retired to the tastefully decorated Gazebo for steak, speeches and an impressive Croquembouche wedding cake. 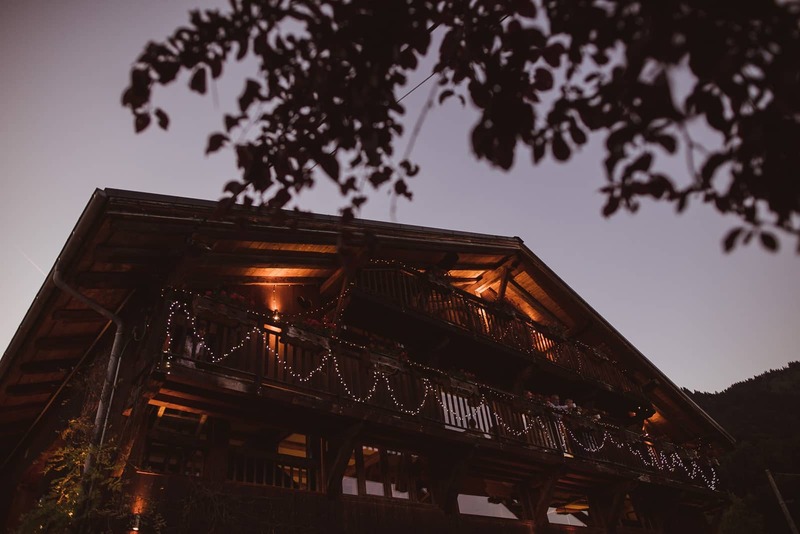 The guests were all staying locally, so the evening passed pleasantly with conversation, laughter and drinks amongst the hundreds of twinkling fairy lights.